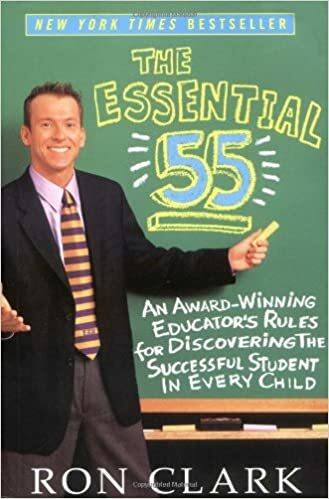 Unless you have no idea who Ron Clark is, you probably know something about Ron Clark's Essential 55 Rules. These are rules that people should live by, not just follow in school. They range from how to greet someone to how to act in a hotel. Grab Mr. Clark's book if you're unfamiliar with his rules. It's not just for teachers, it's for anyone and everyone! Instead of the tradition rules for my classroom, I use these. They have transformed my classroom and how my students view our rules. The kids love the "rules" aren't really "rules" as they've come to learn throughout their career in school. Instead, they see the influence they can have in the community and the school through the Essential 55 Rules. On the first day of school, I go through our rules and procedures. 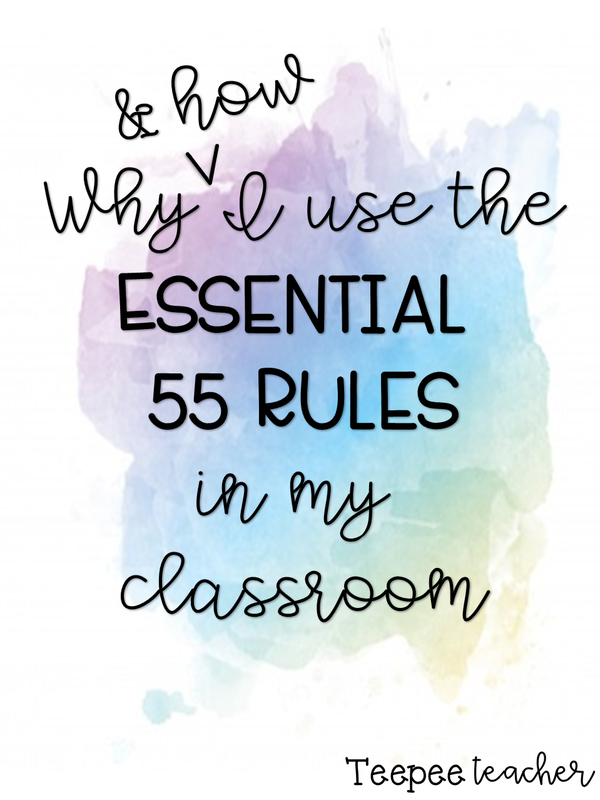 55 rules is very overwhelming and, like I said, not all apply in the school setting or should be discussed immediately. So Teach 2 Reach has created 15 classroom expectations which I use to introduce at the beginning of the year. It helps get the kids in the right mindset for being in the classroom and then I work my way into the actual rules. By the second week of school, I begin each week with an "Essential of the Week". I have squeezed all 55 rules into 36 weeks. I've grouped essentials together that go well together, such as the ones you'd want to talk about before a field trip or discussing manners, etc. It's the easiest and best thing I've ever created because I'm not overwhelmed and neither are the kids. Most importantly, they learn them in an effective way that will follow them throughout their lives. As a school, we have adopted the 55 rules in replacement of school rules. We also have adopted the house system that the Ron Clark Academy uses where every student is divided into a house, like in Harry Potter. We've joined the rules and houses together where if any person in the school (teacher, lunch ladies, bus drivers, custodians, literally any person) sees a student displaying an Essential Rule, they get a point for their house. We use ClassDojo to keep track of them and have the points displayed around the school and announced during the morning news. This is an added bonus for students to work on being essential and displaying them as much as possible. However, I think it's important to note that it's important to always remind students that being essential is not just for getting points for their house, it's about being a good person in society. 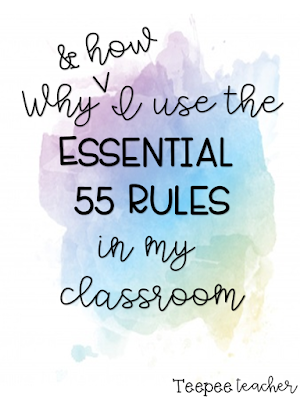 It is so easy to implement the Essential 55 Rules into your classroom as well as incredibly helpful for students. I love the benefits that I see in the classroom and around the school from using them! I know you will, too.